Since we seem to be having a tradition theme going on here, I thought I'd show you another one of our family's newest traditions, since this is the first year Peanut is old enough to get it. We decided that our family should definitely have a Perseid Picnic each year. The timing is perfect. Every year, the Perseid meteor shower happens around August 21: right in the middle of summer break. It's also warm enough to have a nighttime picnic. What better reason to have a nighttime picnic than a magical meteor shower? I packed up Peanut and his cousin and we headed to the county park. We found a really dark parking lot and shut off all the lights. The fact that it was dark made Peanut feel a little on edge, but we calmly talked about fun things to keep his mind off the dark shadows. We lined the bed of our truck with two porch chair cushions and snuggled in under a shared blanket. I'm pretty sure my nephew saw an actual shooting star (by his sudden energetic "there's one, THERE'S ONE! ), but Peanut wasn't patient, still or unafraid enough to witness one. 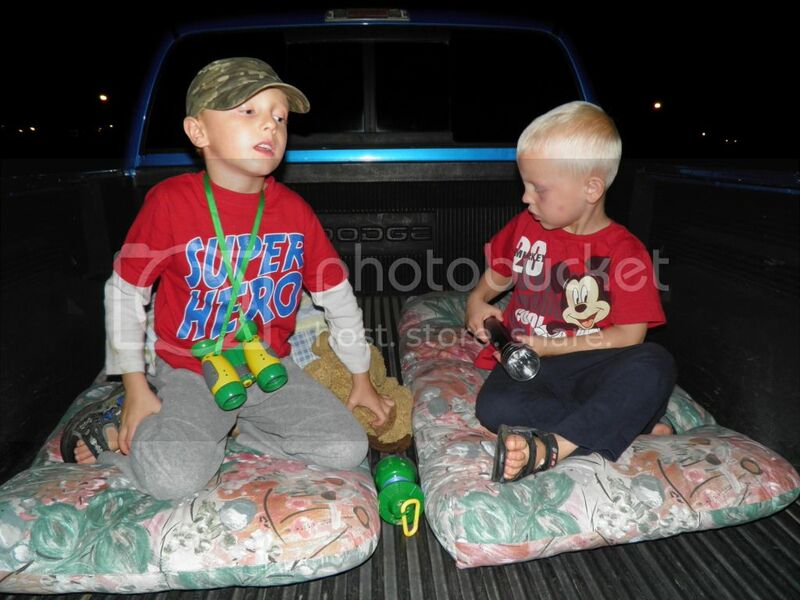 The two adventurers had to bring their binoculars and flashlights, even though they're completely unnecessary for stargazing, because that's just what little Daniel Boons do, yo! We also had a few midnight snacks: unnecessary also, but part of the fun. 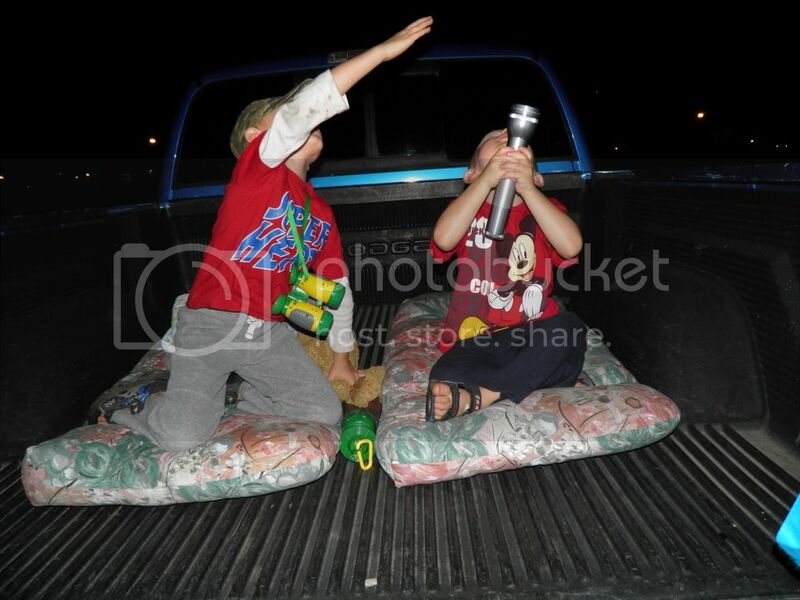 After we I saw about a half dozen meteors, I packed up my two sleepy little fellas and we headed home. A late night Perseid picnic is a good excuse to take off of work the next day, no? We even had a little sleepover to make the night extra memorable. We'll be back next year, for sure.